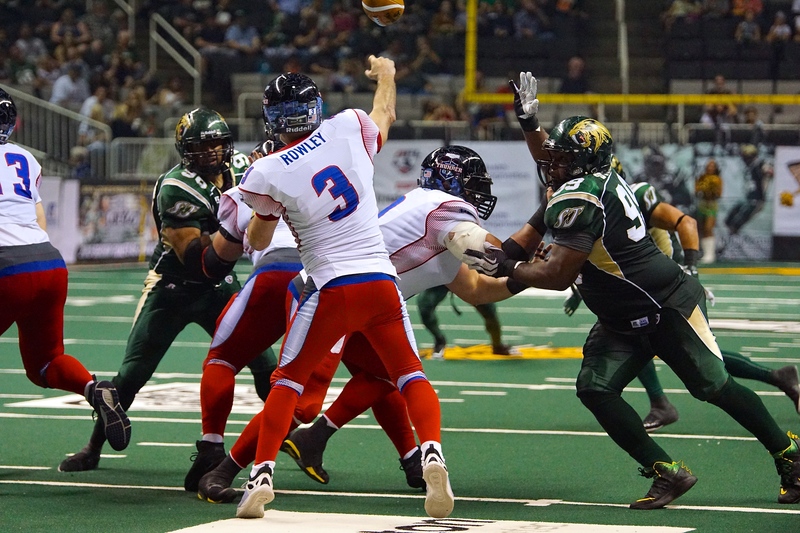 LAS VEGAS – Eighteen players earned 2015 First and Second Team All-Arena Defense honors, the AFL Office announced today. Headlining the First Team All-Arena squad at defensive end were Joe Sykes, who set new single-season AFL records with 18.5 sacks and 10 forced fumbles as a member of the Jacksonville Sharks, and James Ruffin, who logged double-digit sacks (11) for the second consecutive year with the Spokane Shock. 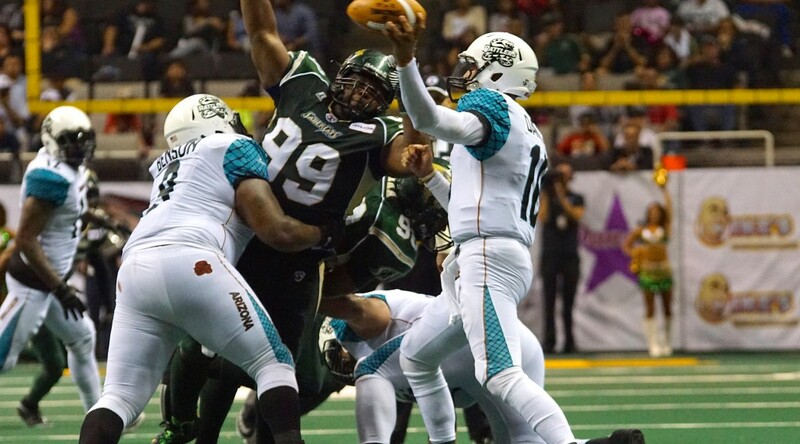 San Jose SaberCats nose guard Jason Stewart earned First Team recognition as well after leading all AFL middle men with 10 sacks on the season. First Team All-Arena Mac linebacker honors went to Tyre Glasper of the Arizona Rattlers, who finished his 2015 campaign with a franchise record 11.5 sacks, while the First Team Jack linebacker was Alvin Ray Jackson of the Jacksonville Sharks, who led all Jacks with 11 takeaways on the year. Jeremy Kellem of the Arizona Rattlers, James Romain of the Philadelphia Soul and Greg Reid of the Jacksonville Sharks were selected First Team All-Arena defensive backs. Kellem led the League with 14 interceptions, while Romain tallied a career-high 10 picks on the year. Reid led all AFL rookies with nine interceptions and 21 pass breakups. 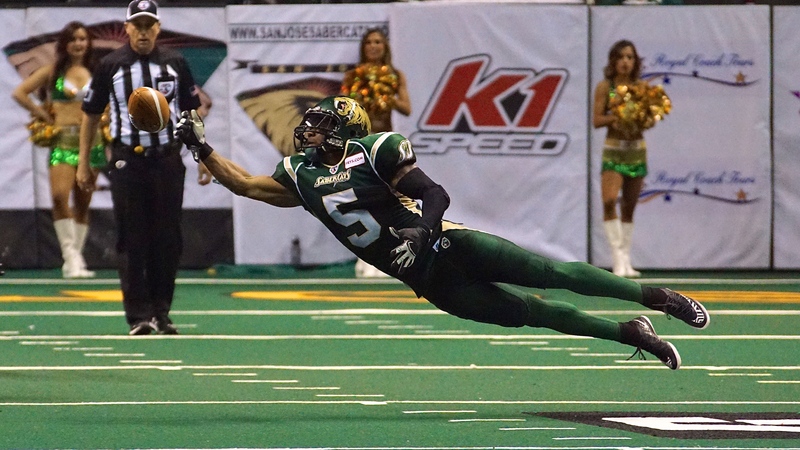 Portland Thunder wide receiver Duane Brooks also earned First Team All-Arena honors as a kick return specialist. Brooks led the League with 1,994 kickoff return yards and an AFL record eight kickoff return touchdowns in 2015. Nine more players earned Second Team honors, including: defensive ends Mike McAdoo of the Arizona Rattlers and Bryan Robinson of the Philadelphia Soul; Cleveland Gladiators nose guard Willie McGinnis; San Jose SaberCats Mac linebacker Francis Maka; Orlando Predators Jack linebacker Terence Moore; defensive backs Ken Fontenette of the San Jose SaberCats, James Harrell of the Tampa Bay Storm and Rayshaun Kizer of the LA KISS; and kick return specialist Brandon Thompkins of the Orlando Predators.